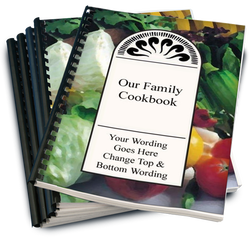 Make your own cookbook for just $29.00! CookbookGirl.com is partnered with The Great Family Cookbook Project. Their software is the best available. You can create your own cookbook by yourself or invite family and friends to help collaborate with you. You get all the features immediately! If you are interested in creating your own cookbook as a fund raiser, check out CookbookFundraiser.com - all the same features, but designed for your whole group!